How to block an undesired phone number on a Blackberry Curve 8520? - Click on configure the white list and then add a phone number. - Delete the numbers you want to blocked. 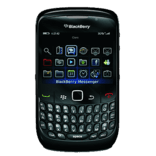 You Blackberry phone will only accept SMS, MMS or calls from people present in your contact list. Thanks to mimi2203 for this tip. Published by jak58. Latest update on September 28, 2012 at 04:59 AM by jak58. This document, titled "Blackberry Curve 8520 - Block a phone number," is available under the Creative Commons license. Any copy, reuse, or modification of the content should be sufficiently credited to CCM (https://ccm.net/).